If you've read any of my previous, skincare posts, you'll know that I love to include a whole host of serums in my skincare routine. As I'm still relatively young and my skin is on the drier/dehydrated side, hydrating formulas are a must for me and give my skin that extra boost that a moisturiser alone can't achieve. 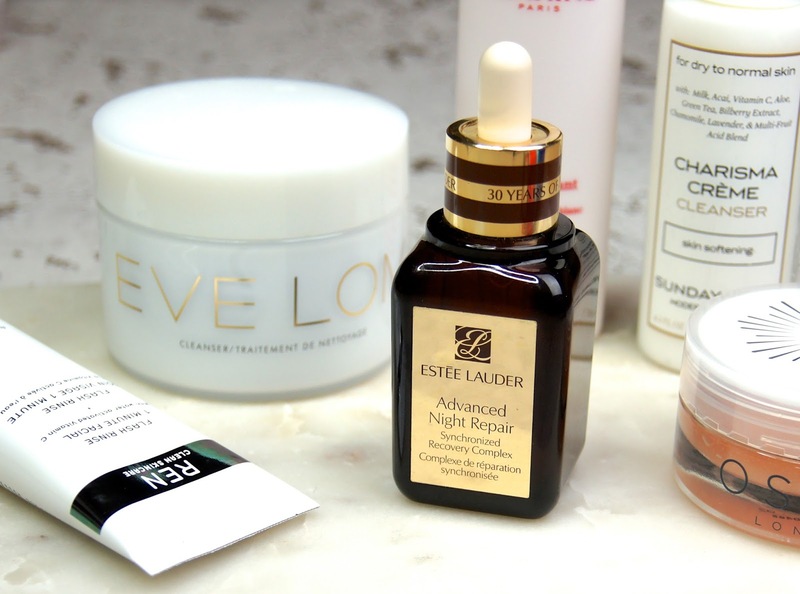 Estee Lauder's Advanced Night Repair may technically be aimed at reducing the signs of aging, to reveal a smoother, radiant, even-toned complexion, but my mid-twenties skin would be more than happy to reap those benefits, too! The question is - does it live up to its sparkling reputation? After winning a multitude of prestigious awards and being raved about by practically everyone, this was a product that I had very high hopes about when I first bought it. Fortunately, I've not been disappointed. Although I may not match the target market for this serum, in the fact that it helps to diminish the look of fine lines and wrinkles, I wouldn't mind using a product that will fend off the aging process, protecting the skin from future damage. Consistency-wise, Advanced Night Repair is smooth and non-greasy, but quite gloopy. Honestly, it's not the nicest texture compared to other formulas I love, but the results are worth persevering with it. Despite the name, you can use this serum during the day, but I do tend to use this every other evening, rotating it with brightening formulas, and a separate product in the morning which is less intensely moisturising. Deeply hydrating, it sinks in so easily and leaves skin feeling plumped and ten times smoother straight away. Fragrance free, it's great for those with sensitive skin and it soothes aggravated skin, calming it down. 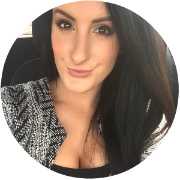 This is one of those products that really has transformed my complexion. Whenever my skin decides to go a bit mental, whether it's breaking out, suffering a bad reaction or redness starts appearing from nowhere, I know I can always fall back on this serum and it will help to repair any issues. In particular, if there's any spots sitting underneath the skin, waiting to rear their ugly heads, they're stopped in their tracks when I reach for this. As if by magic, those painful, red bumps seem to simply vanish by the next morning. Personally, I'm not a fan of the brown bottle as I think it looks a bit dated, although the special anniversary edition that I have is a lot nicer than the regular design, with the gold, panelled front. The tinted glass does allow you to keep an eye on how much you have left, though, which is always something I like. Having a pipette makes the serum so easy, hygienic and mess-free to use, too. Thanks to a recent reformulation, the price of Advanced Night Repair has shot up to a whopping £72 for 50ml. Compared with facial serums from other high-end brands, this is actually pretty expensive, but it does do a lot more than just hydrate the skin. If it does work wonders for anti-aging, then I can understand why it has such a steep price-tag. Like I always say, I'm willing to invest in my skincare and would always be happy to pay more for a product that works for me. A smaller bottle of 30ml is also available for £52, which works out as less economical, but would be ideal for travelling with. 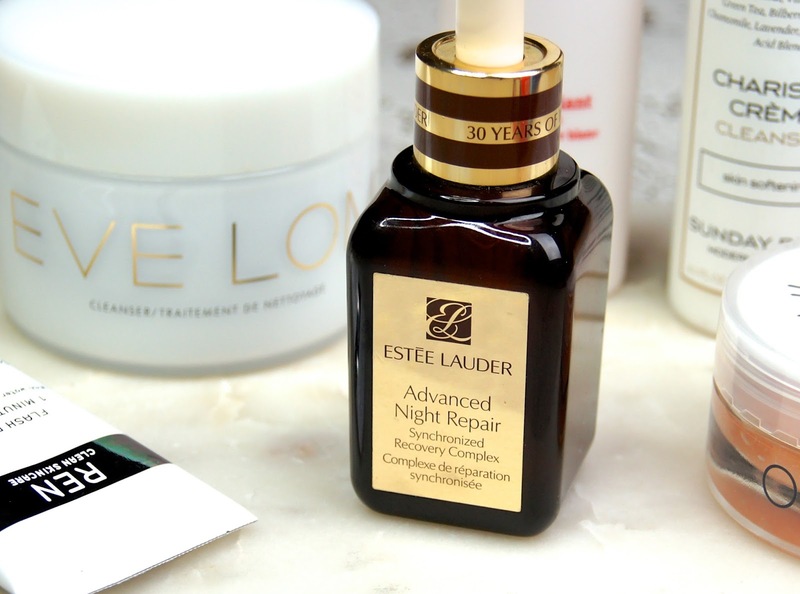 What are your thoughts on Estee Lauder's Advanced Night Repair? Is it a skincare staple for you?